With elegant draping ribbons, this beautiful 1940s inspired brooch is divine. 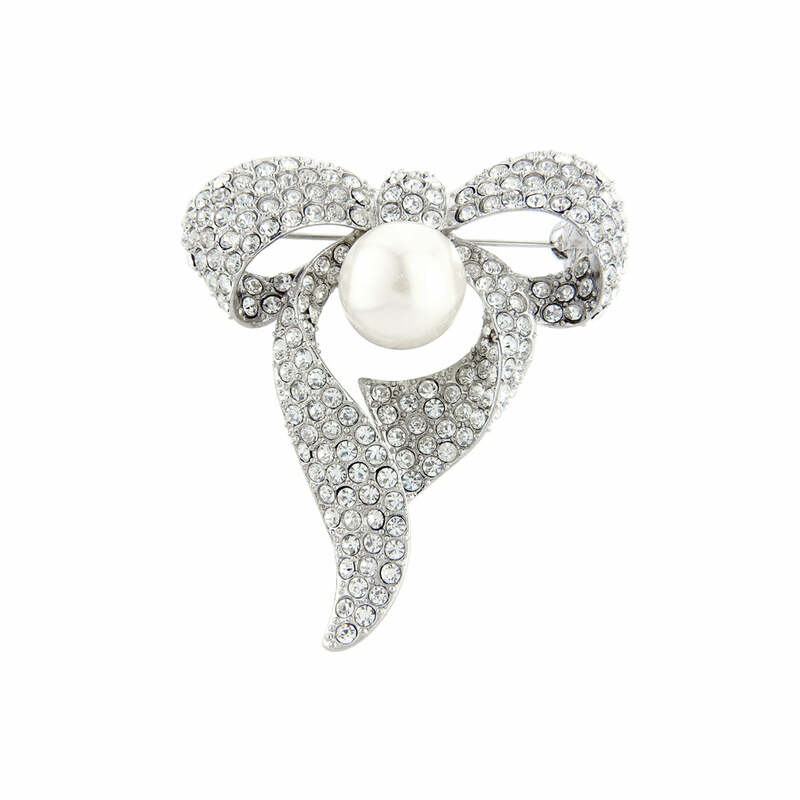 Timeless and elegant, this beautiful bow brooch takes its inspiration from the classic 1940s. A time when women bejewelled their attire with exquisite brooches, this beautiful 'piece' features a sparkling crystal encrusted draping ribbon style bow accentuated with a light ivory faux pearl. Wear on the lapel of a chic tailored jacket, on a chic sweater or to embellish a stunning evening or bridal gown with graceful vintage style. Coordinated with a pair of crystal and pearl earrings and a bejewelled bracelet for 1940s Hollywood Starlet style.